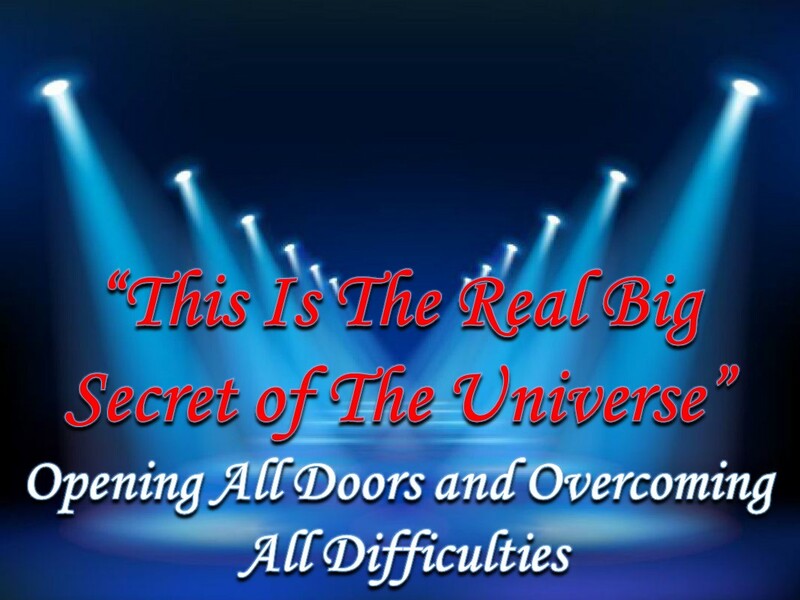 “Ask the Universe, and it will do whatever you wish” or “the way that we see events and believe shapes your reality” kind of “Supposedly the Big Secret” is in fact existing in a much more real, meaningful and greater way in the reality of faith and Islam. 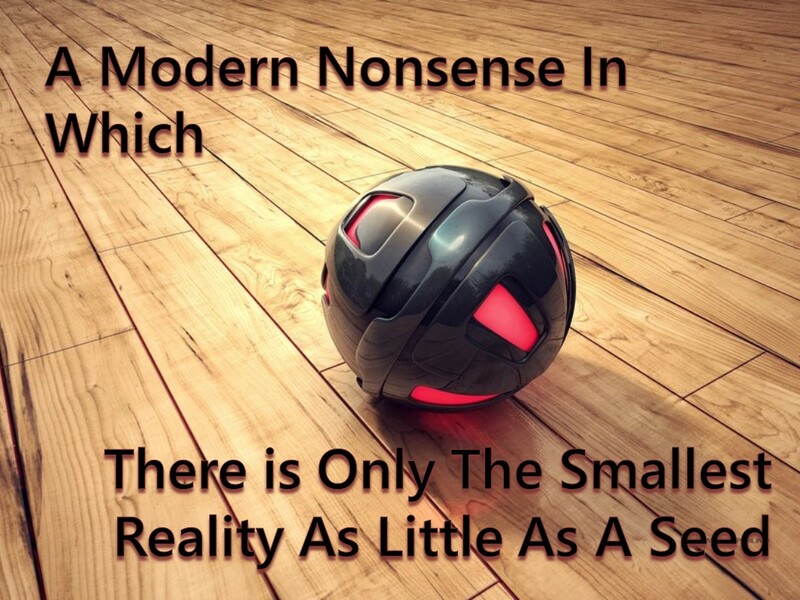 In this way: In real life, we compare our needs with our possibilities and possible threats with our power, it appears that every human being is so “weak and helpless”. This is also true even for the richest and most powerful people. Even a tiny microbe could kill the strongest people. And the richest man could enjoy his limited capabilities, richness only during his lifetime. For instance, however rich he is, he could only fill his stomach full and he can do this in a certain time period. Whereas, man has such a big material and non-material hunger that it can never be appeased and satisfied and even all of this world would not be sufficient to satisfy his desires. 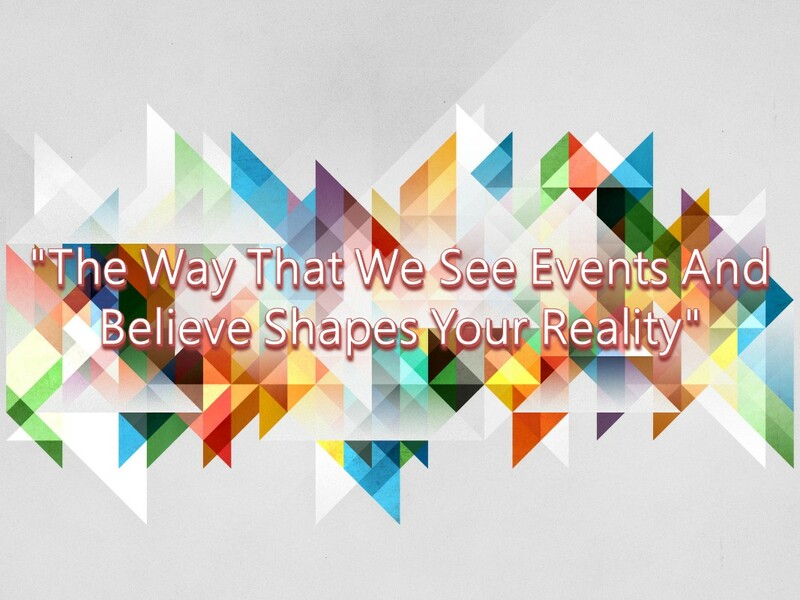 Everybody can feel this fact in his flesh clearly. And, indeed the death would equalize everybody at the end: the rich with the poor, the strong with the weak. Everybody would lose the battle against death in terms of fulfilling his needs and protecting himself from harm. Nobody could save this life (in this world) in its real sense. In such world servitude face us with two fundamental concepts: realizing the insufficiency of our power and capabilities by knowing our weakness and poverty. 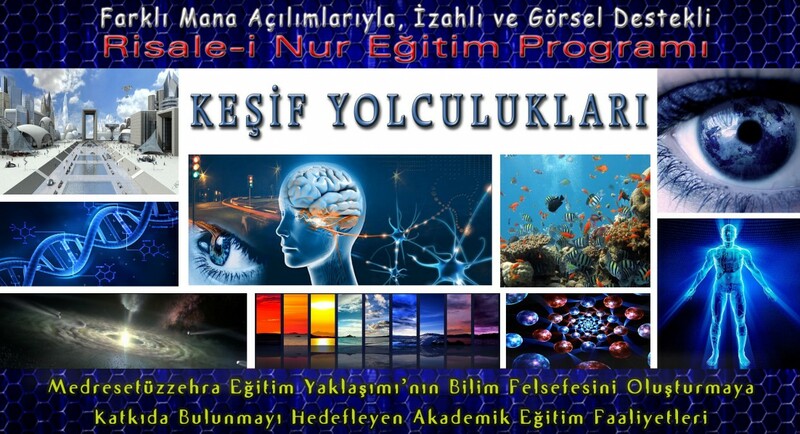 And then, searching for the Master of the World who is so powerful that he can protect you from all dangers which can harm you and who has such a richness of compassion and mercy that He can satisfy all of your needs; finding Him and depending on HİS power and asking help from His Mercy by devoting yourself to Him. This is the endless source of power and richness. 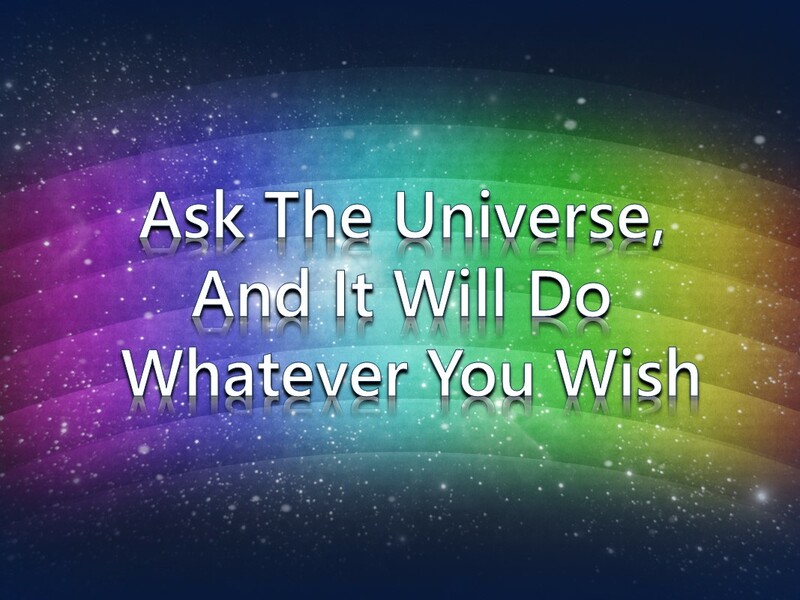 On the other hand, in “Law of Attraction”, you are asked to believe in and in fact, pray (?!) 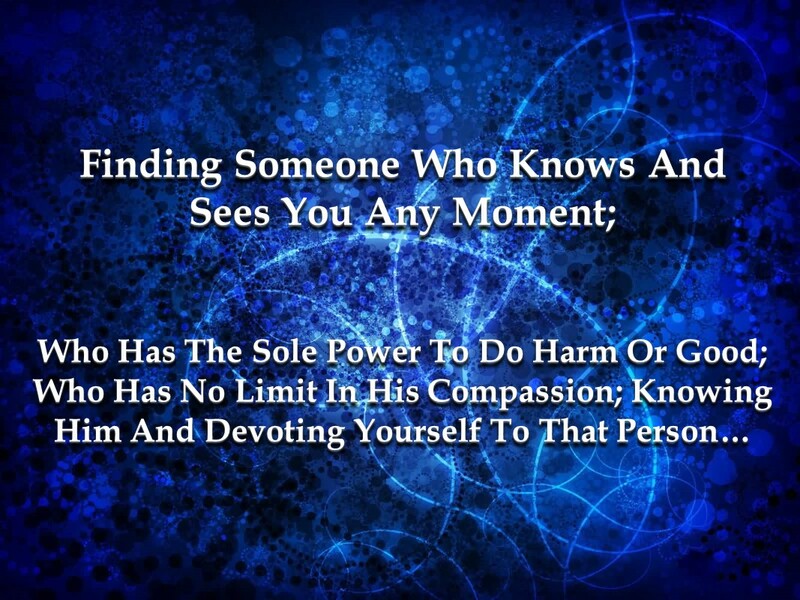 to a nondescript universe which does not have compassion, and which does not know you. 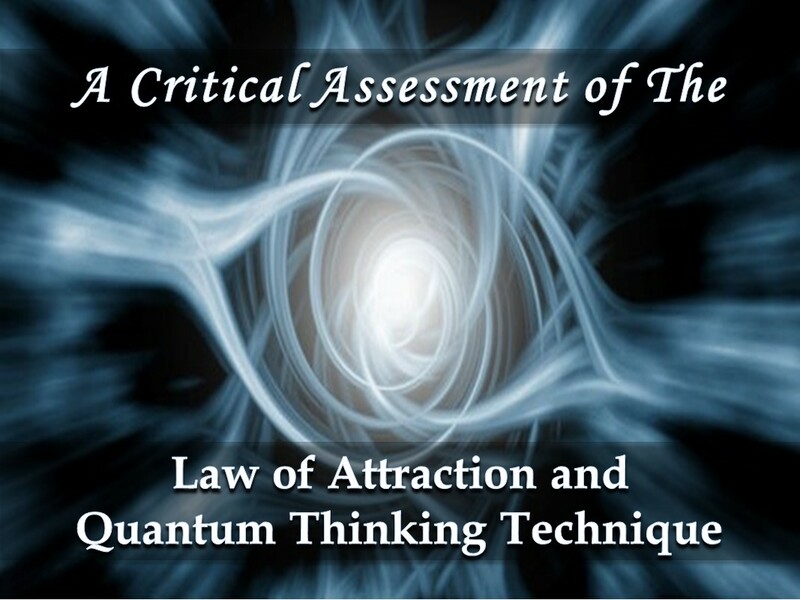 And even, in the book of “The Secret”, with this method called “Law of Attraction, which is resembled by the book itself to “waiting for Aladdin’s Genie to make your wish true”, divine truths, whose workings and the reality are quite different, are distorted and today’s men are provided with a modern nonsense, which contains, if any, some trifling reality. 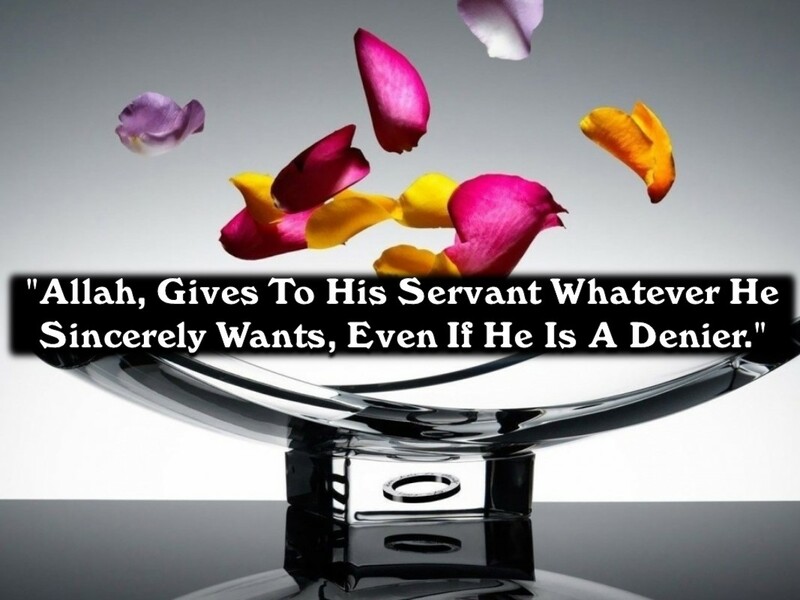 Let us be more specific: here some of the realities which find itself in such principles as these: “Allah, gives to His servant whatever he sincerely wants, even if he is a denier.” or “However my servant knows me, I treat him that way” are presented in a flamboyant and attractive but empty way, by leaving aside the realities of religion and Allah existing in them. 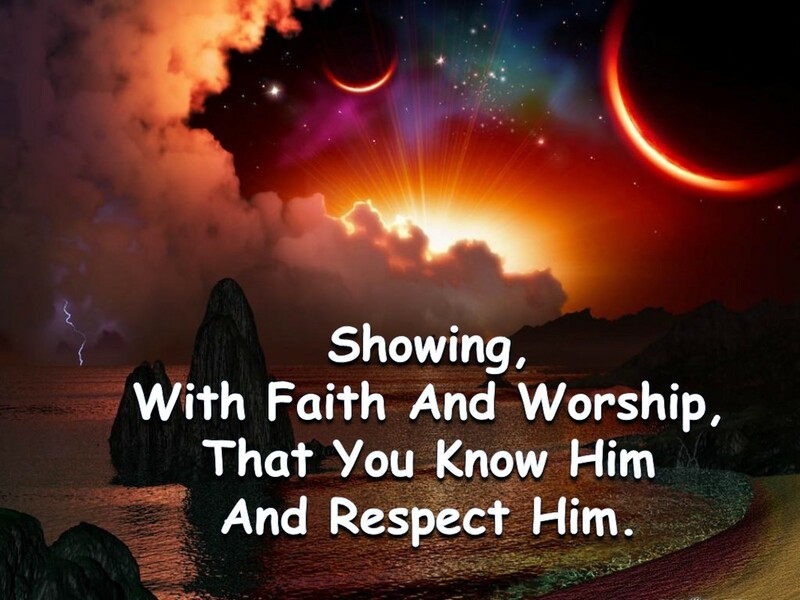 Now think of this: If Allah, who is the owner and the ruler of this universe, gives someone who does not either recognize or know Him, who does not worship him; whatever he wants just because this man wanted it sincerely, with a language of necessity; then, how would He treat a man, who knows and loves Him with all the names and attributes taught by His prophets; who knows His wishes declared in the books sent by Him and who obeys this wishes and who worship Him consciously in accordance with the purpose He has shown with His religion? 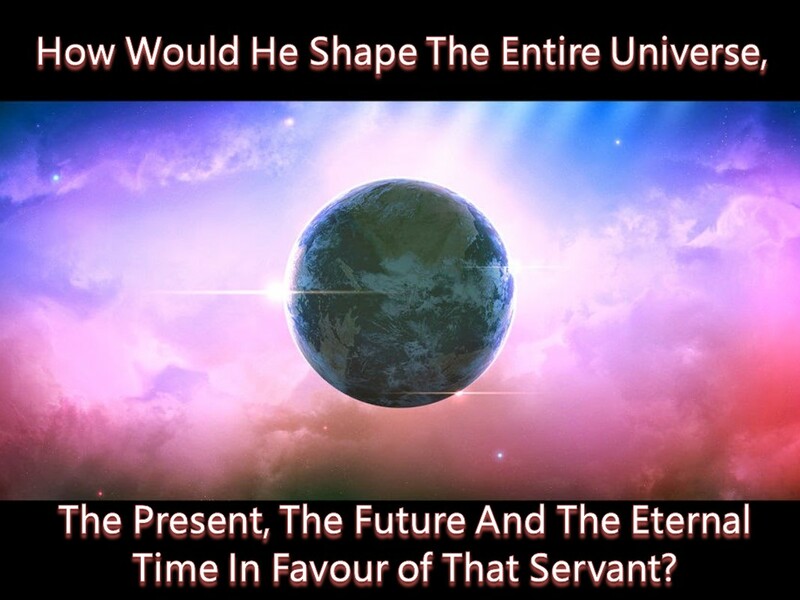 How would he shape the entire universe, the present, the future and the eternal time in favour of that servant? 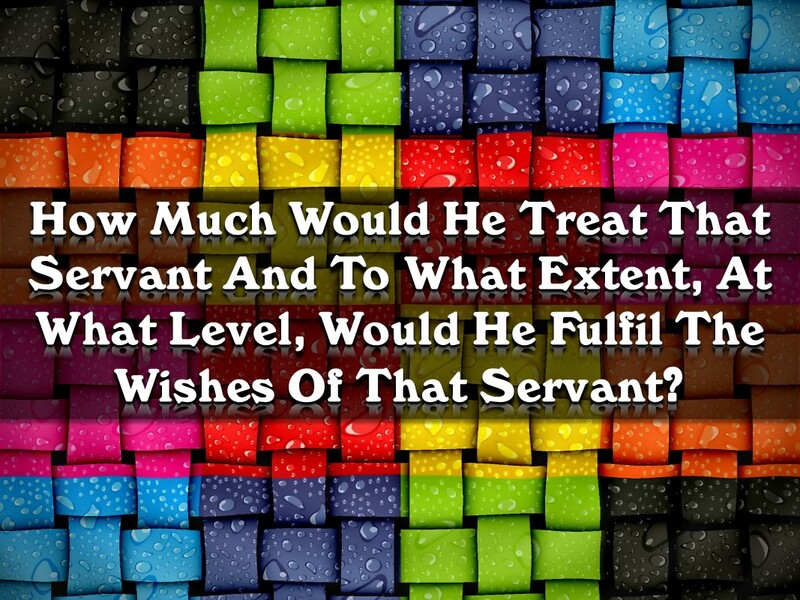 How much would he treat that servant and to what extent, at what level, would He fulfil the wishes of that servant? 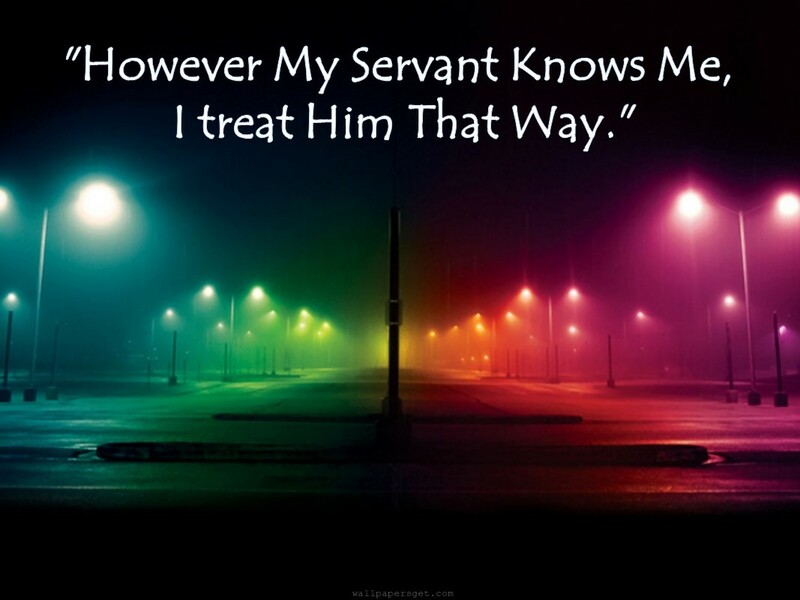 This is such a high place where He treats that servant. 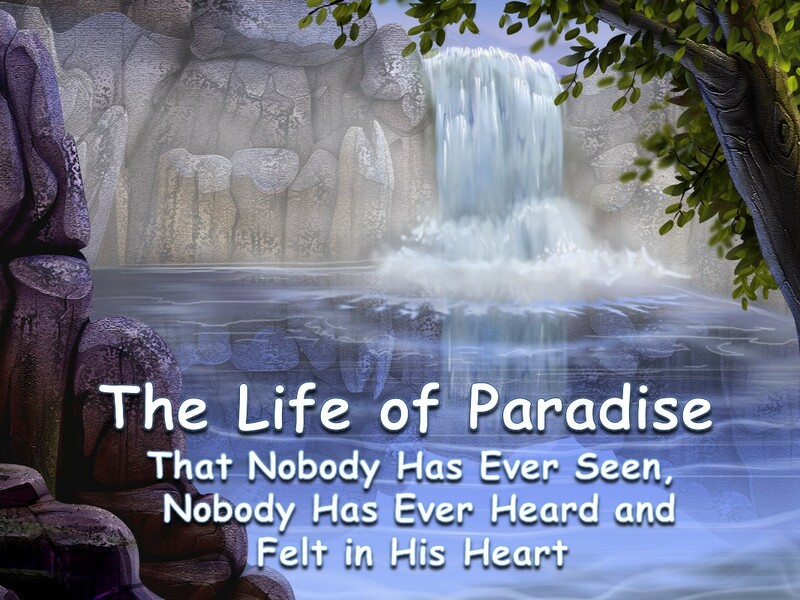 His Prophet describes it as such: “Eyes have never seen such a place neither have ears heard of it, nor did the heart of a man can imagine”. Be careful! The Law of Attraction could help you own a Ferrari, but belief in Allah, would give you the unimaginable and wonderful blessings of an infinite life and provide you with the honour of seeing Someone whose beauty makes us even forget the Heavens. 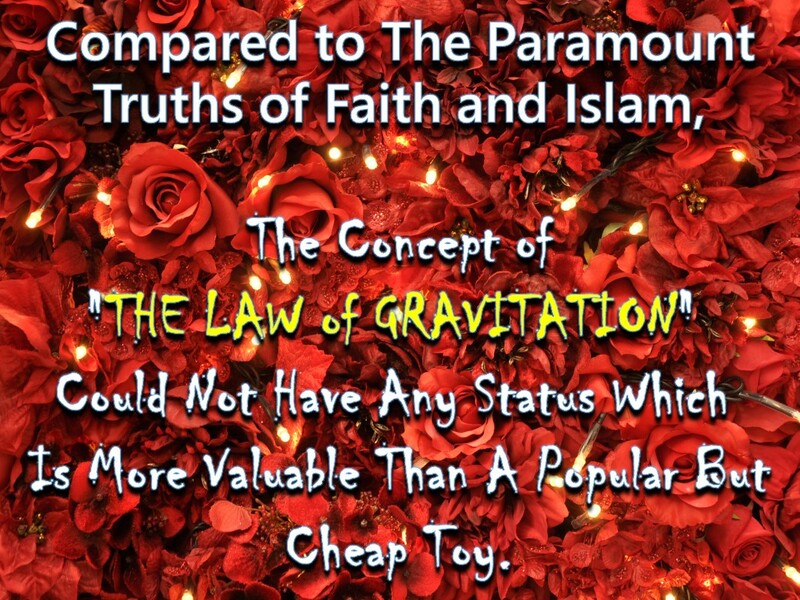 Compared to the paramount truths of faith and Islam, the concept of “The Law of Attraction” could not have any status which is more valuable than a popular but cheap toy.